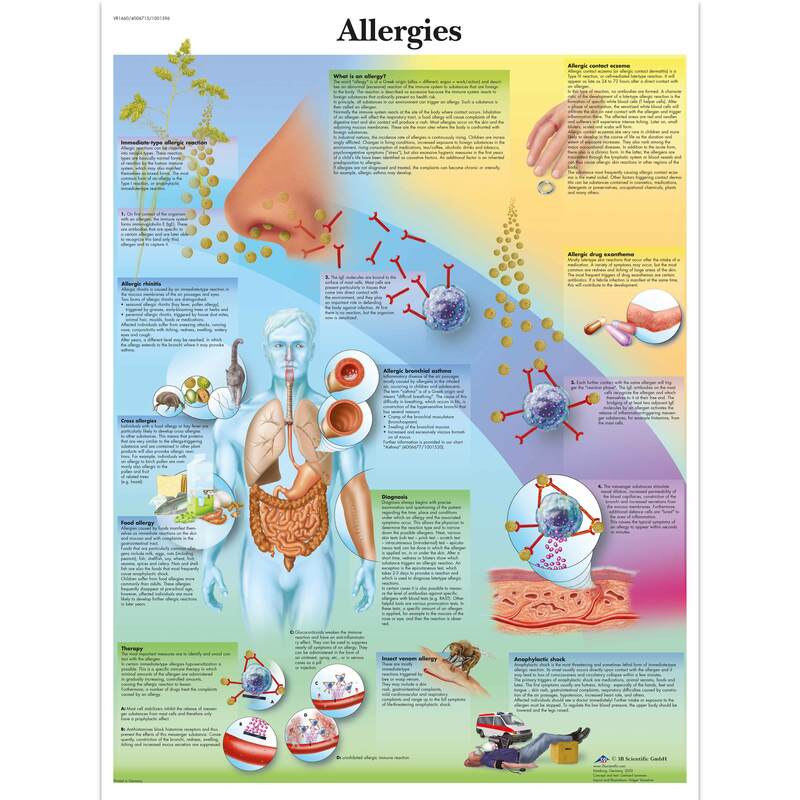 This colorful anatomical chart details the different types of allergies. From pollen, to bug bites, to drug allergies this anatomy poster is full of educational information. Look at allergies from a microscopic point of view! Printed on premium glossy (200g) paper. Convenient Poster size 50x67cm (20x26'').